“Doc, I think I have a pinched nerve.” Not so fast. I hear this so often from new patients when they come into my Newmarket chiropractic clinic. 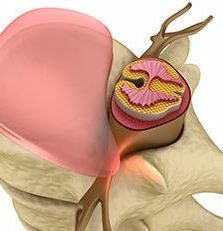 It may in fact be a pinched nerve caused by a disc bulge or bone spur, but more commonly it is caused from irritation or inflammation of a nerve root resulting from an alignment problem. Both are good to find out the underlying reason. X-rays can see if the cause is coming from an alignment problem, a bone spur, or arthritis. An MRI can help determine if the cause is coming from a disc bulge or herniation, or other more sinister causes like a tumor (rare). Seek help – we can find and address the cause. If a referral is necessary, we can do that as well. Whether or not the problem is a “pinched nerve”, we will find the cause with our in-depth consultation and examination. Getting on the road to recovery, will allow you to finally get back to doing the things you love.